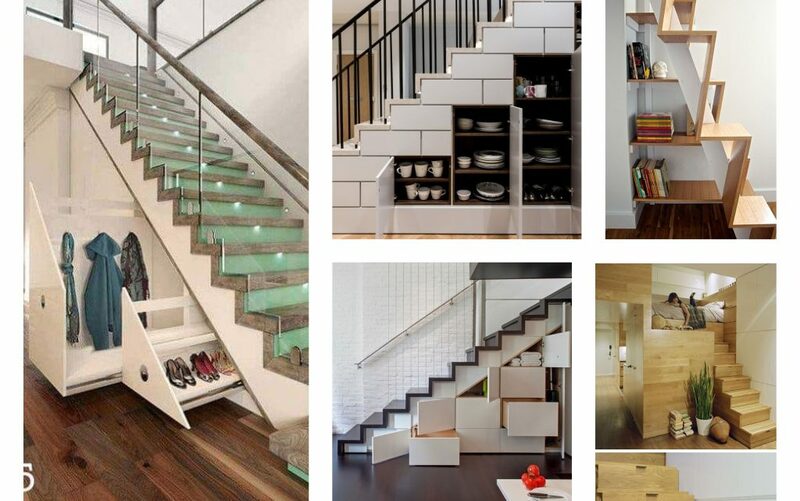 There are a million ideas about how to reuse the space under the stairs. For example, you can create under the stairs storage shelves, you can create tiny room under the stairs. Recently, I’ve written exactly about how to create a small living room in that hidden place of your house. 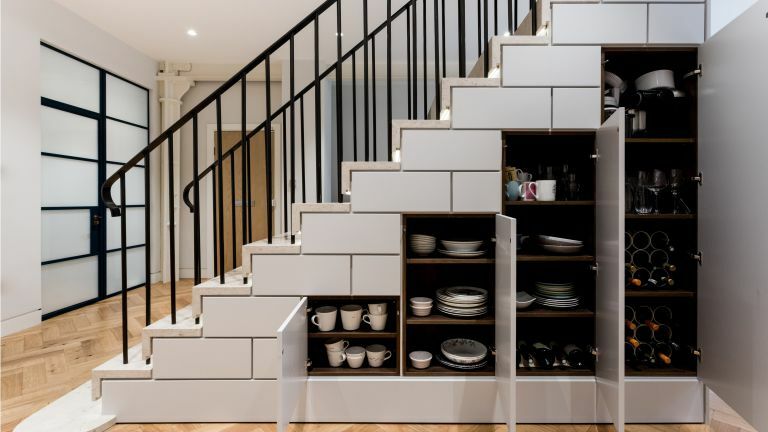 This day, you have the opportunity to see amazing under the stairs storage ideas in the images below. Don’t miss it! There is no person who has enough place in the wardrobe for all clothing he/she has. 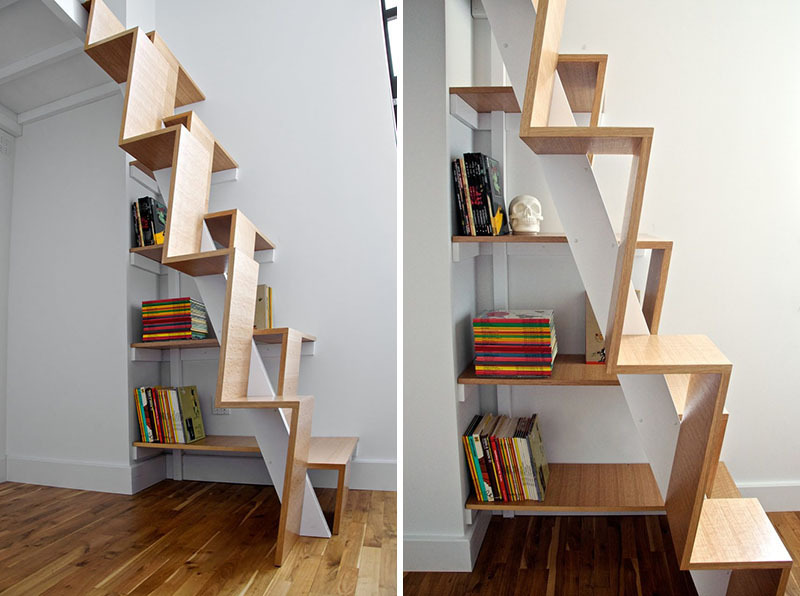 that’s why we all need wooden stairs with shelves that we will use for extra storage for winter or summer clothes. Check the photo below. But if you already have space for all the clothes at home, you might storage the old kitchen stuff at the space under the stairs. It’s a fact that we need this space no matter what we will organize there. In this photo find inspiration about old kitchen stuff and tools organization. 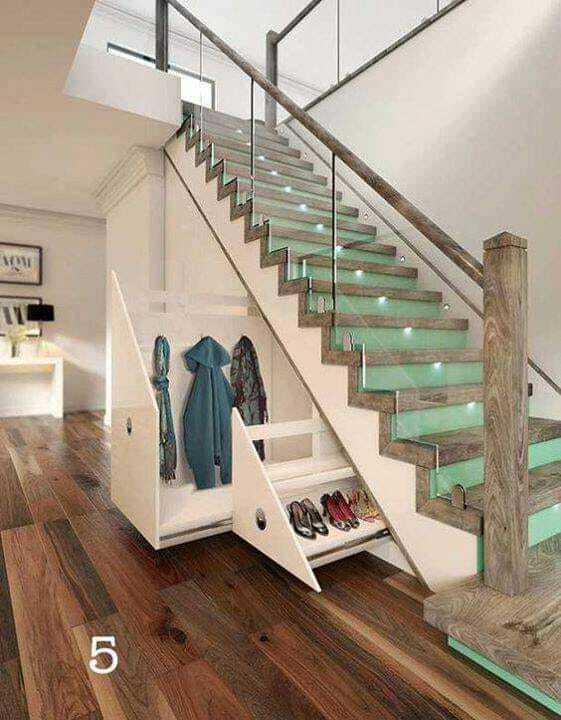 This is an amazing closet hidden under the stairs. This can be the place for shoe organization, clothes organization if you want to be an organized person. Those who have a large family with kids probably never have enough place for the things. 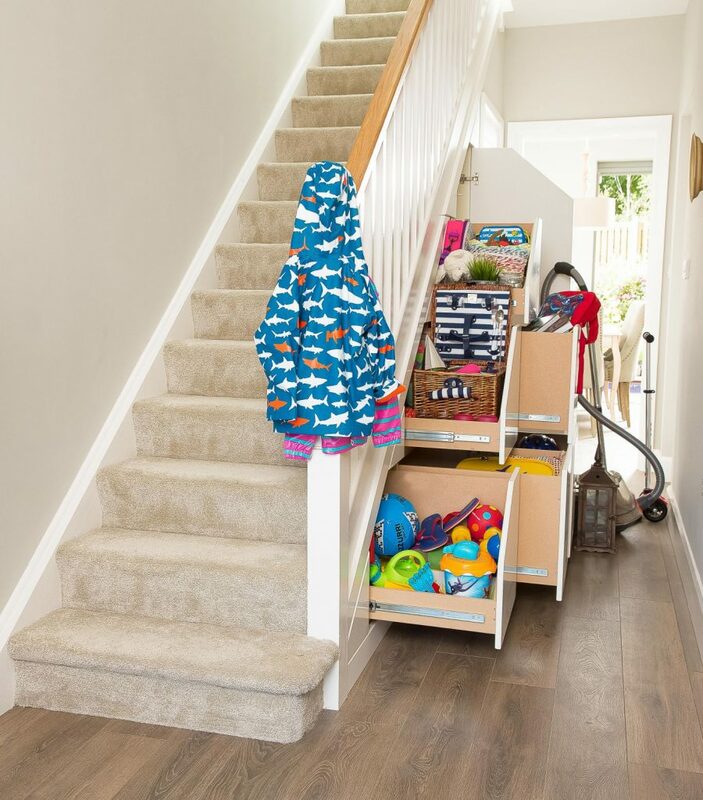 Organize the summer toys and clothe in the space under the stairs. Amazing idea. Book lovers might need an idea like this for the nice organization at home place. 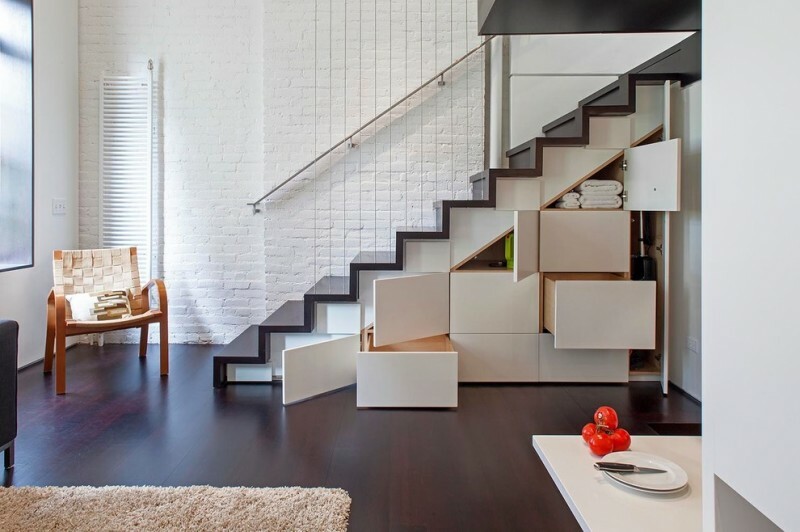 Everything might look organized at home place if you are smart and you have geometric stairs like this. Probably you have a lot of shoes at home and you are fed up with the organization. 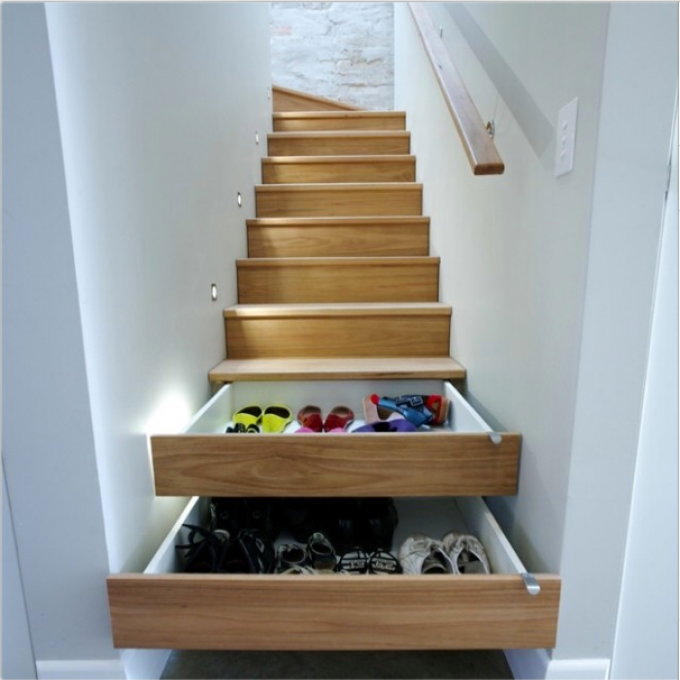 See the following idea of wooden shelves in the staircase, that is a perfect place for the organization of all the shoes you have at home. 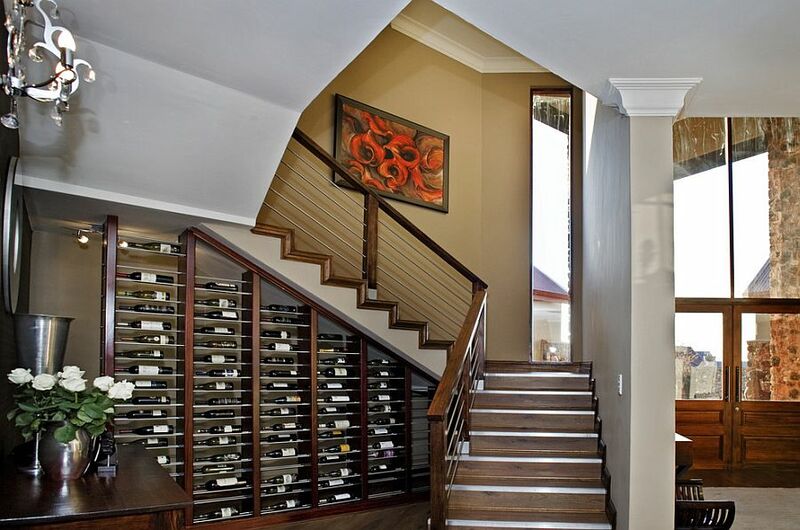 Use smart space under stairs for an organization of the wine bottles. Find inspiration in this idea that is very inspiring. If you copy this idea now organization won’t be a problem for you anymore. Do you share the same opinion as me? Tell me in a comment below this post. If you have wooden built-in shelves under the stairs you can have extra space for all the clothes you have. And of course, no one will ever notice that you actually have shelves in that space. Find inspiration in this photo and by the way to share these ideas with people you know. Thanks for your attention!